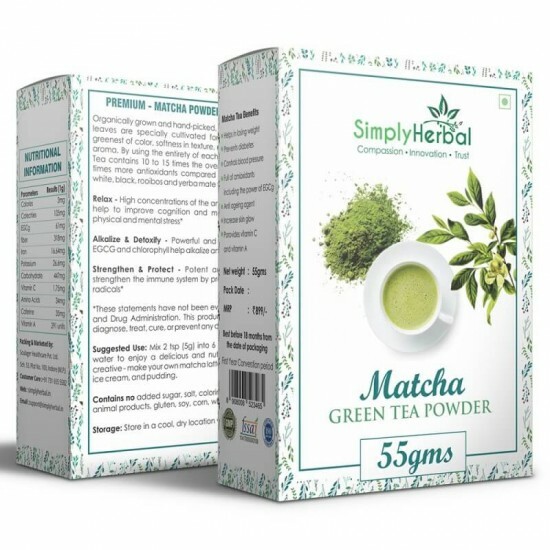 Simply Herbal Matcha Is the Perfect Choice to Help You Relax Your Mind and Improve the Focus. Full of Antioxidants: Matcha Tea Contains More Antioxidants Than Any Other Brewed Green Tea. Matcha Is From Powdered Whole Leaves Means Your Body Absorb More Nutrients. 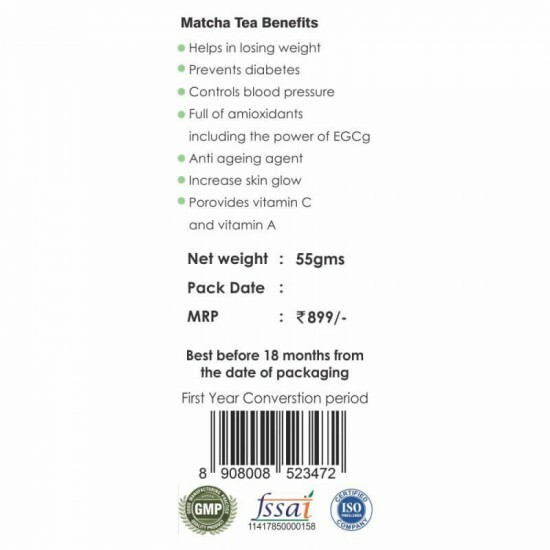 Maintains Healthy Metabolism & Helps Weight Loss Program: Matcha Helps to Maintain a Healthy Metabolism. 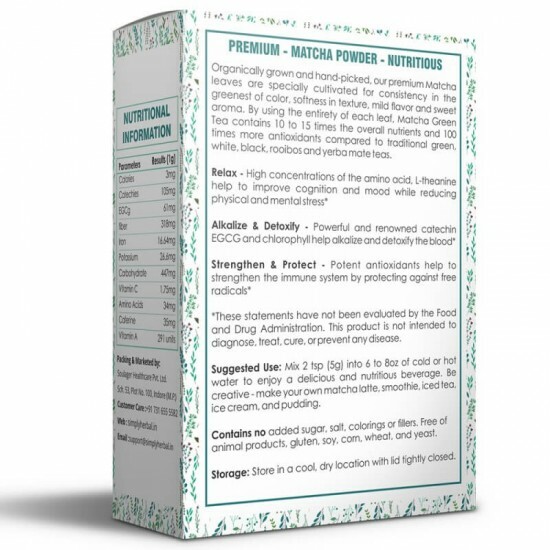 It Also Helps Reduce Cravings, and Naturally Supports the Weight Loss Program. Matcha Can Be Mixed With Almost Anything. Enjoy a Matcha Latte in the Morning, Stir a Dessert for Lunch and Shake Your Smoothie for an Evening. 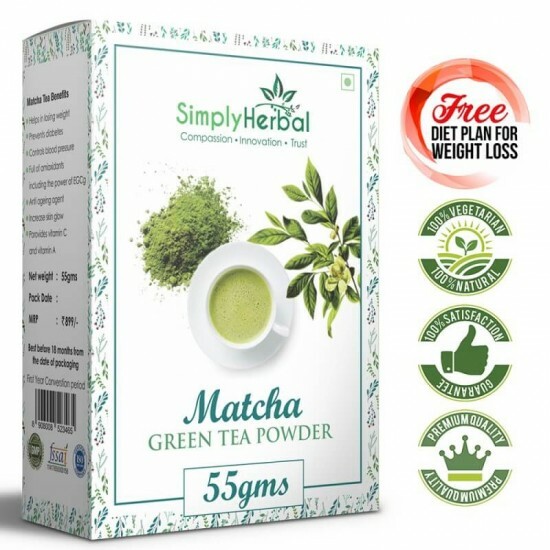 *contains Caffeine: All Matcha Contains a Combination of Caffeine and L-theanine, Which Provides a Calm, Long-lasting Energy Boost. Matcha tea equally fits up your energy level and promote better concentration. Food safety testing: all our food is tested and approved by FSSAI for quality and safety. Matcha green tea was originated in Japan. Since the entire leaf is ingested in powder form, it is the most potent green tea in the world. 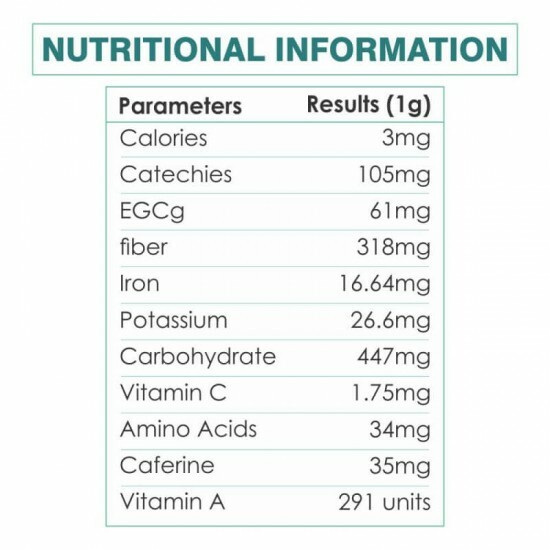 It has 10x times more antioxidants than regularly brewed green tea. One cup of matcha - 10 cups of regularly brewed green tea in terms of nutritional content. Authentic culinary matcha -for the matcha enthusiasts who are looking for the most flavorful Japanese organic matcha powder for lattes, smoothies, cooking, and baking. Eco class is olive in color, fresh, and with delicious earthy flavors.